After a slew of PS4 pricing announcements from third-party publishers, EA has now decided to lower its PS4 game prices in India, IVG is reporting. Having initially priced PS4 games for India at Rs 4,499, pricing is now being revised to Rs 3,999 to match first-party pricing. EA is expected to communicate the new prices to retailers soon. EA has four PS4 launch titles – FIFA 14, Battlefield 4, Need for Speed: Rivals, and NBA Live 14. 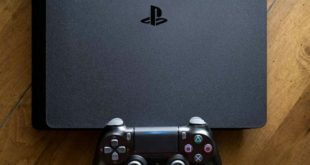 The change in pricing was no doubt prompted by announcement of substantially lower prices by the likes of Ubisoft, Warner Bros, 2K Games, and Square Enix, whose PS4 games range from Rs 2,499 to Rs 3,499.